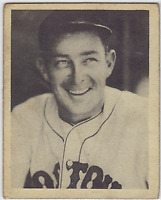 1939 Play Ball BB Card # 48 Lefty Gomez New York Yankees PSA VG-EX 4 !!! 1939 Play Ball BB Card #119 Will Hershberger Cincinnati Reds PSA VG-EX 4 !!! 1939 Play Ball BB Card # 6 Leo Durocher Brooklyn Dodgers PSA VG-EX 4 !!! 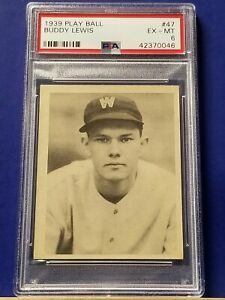 1939 Play Ball BB Card # 9 Jim Tobin Pittsburgh Pirates PSA NM+ 7.5 !! !